A disk that bulges or is pushed out of place by injury or a severe strain. A bulging (herniated) disk can pinch the nerves that pass through the bones, leading to pain in the legs. The pain may be constant or may happen only in certain positions. It may get worse when you cough, sneeze, bend, twist, or strain during a bowel movement. The pain may be in only one spot or it may spread to other areas, most commonly down the buttocks and into the back of the thigh. 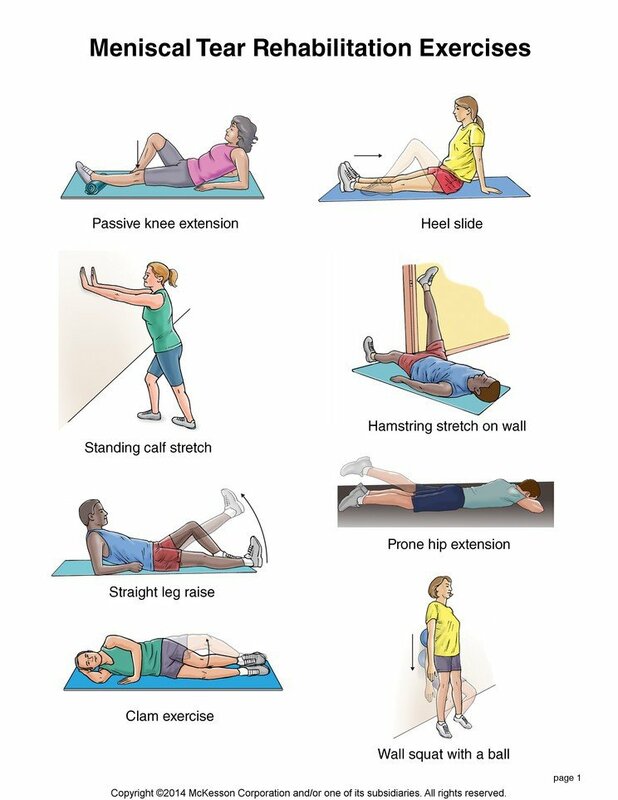 Exercises that stretch and strengthen the muscles of your abdomen and spine can help prevent back problems. Strong back and abdominal muscles help you keep good posture, with your spine in its correct position. If your muscles are tight, take a warm shower or bath before doing the exercises. Exercise on a rug or mat. Wear loose clothing. Don’t wear shoes. Stop doing any exercise that causes pain until you have talked with your healthcare provider. 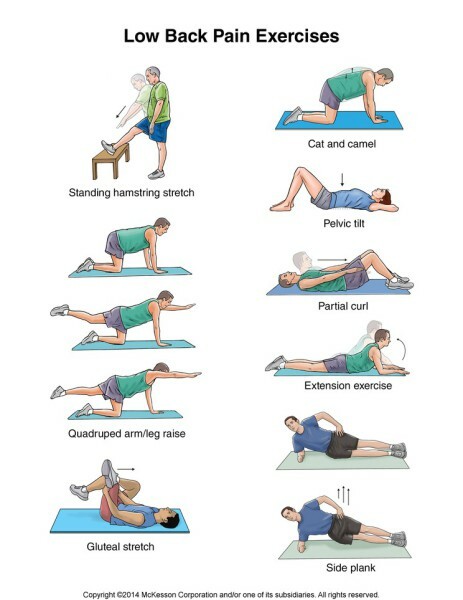 These exercises are intended only as suggestions. Be sure to check with your provider before starting the exercises. Standing hamstring stretch: Put the heel of one leg on a stool about 15 inches high. Keep your leg straight. Lean forward, bending at the hips until you feel a mild stretch in the back of your thigh. Make sure you do not roll your shoulders or bend at the waist when doing this. You want to stretch your leg, not your lower back. Hold the stretch for 15 to 30 seconds. Repeat with each leg 3 times. Cat and camel: Get down on your hands and knees. Let your stomach sag, allowing your back to curve downward. Hold this position for 5 seconds. Then arch your back and hold for 5 seconds. Do 2 sets of 15.